Marcus Evans’ Australia regional mission is to develop a platform for industry practitioners to exchange knowledge and share ideas by providing cutting edge programmes which address the most pressing business issues and challenges facing the leading companies within the Australian market specifically. Our portfolio of over 40 annual event across all key industry sectors addresses the unique challenges faced by companies operating in the Australian marketing. Presentations draw on insights from government officials, industry leaders, policy makers; thought leaders and trend setters; thereby providing our clients with tangible insights that add value in their decision making. Programmes are thoroughly researched directly with key business professionals within the Australian market, with programme content validated by our industry panel of advisors across all sectors. In depth research allows marcus evans to be at the forefront of industry developments from a economical, regulatory and technological perspective. 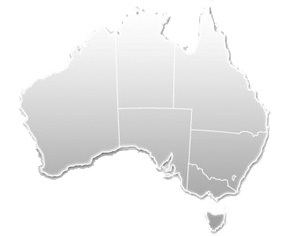 Our premier conferences and trainings are strategically developed upon the region’s constant strive for the betterment - by identifying, distributing and encouraging the practical adoption of crucial strategic improvements based on Australia’s changing market landscape. Designed for both high-level senior executives and key technical operators, our events are meticulously researched. Our event model focuses on engaging event delivery; actively seeking to unlock the collective experience of our high level delegations. Case study presentations, round table discussions, interactive think tanks, panel discussions, interviews and workshops continually drive interaction, stimulating discussions, and providing the optimal learning platform for all delegates. We also offer a range of opportunities for solution providers and consultants to showcase their products and services to decision makers from their key target markets across different industries and territories. This is the ideal platform to connect global business leaders with solutions in the quest to enable lasting and profitable business relationships.